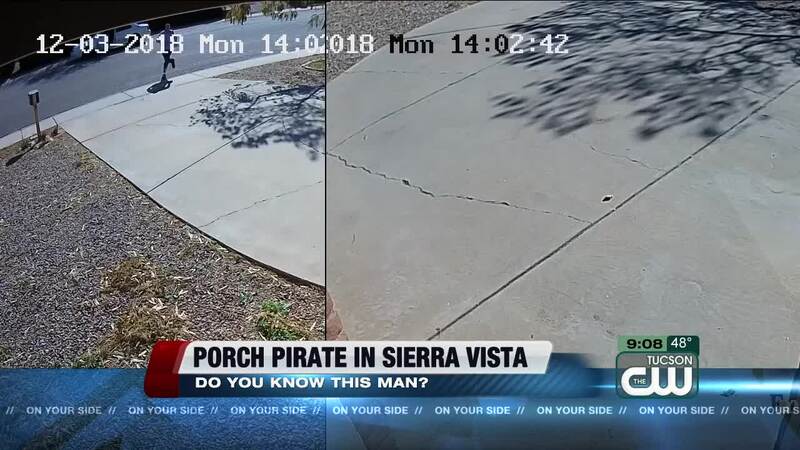 Sierra Vista police are looking for a man who stole 2 packages off the front porch of a home. Officials say it happened on December 3rd around 2 p.m. It happened in the 700 block of Chantilly Drive. The man seen on video got out of a white, 4-door sedan. He walked up to the home and took 2 packages from the front door. Anyone with information is asked to call Sierra Vista police at 520-803-3555. The case number to mention is 18-44269.